Equity intelligence is the SEBI registered portfolio manager, and fund management firm promoted by Indias guru investor Porinju Veliyath. Equity intelligence ranks among Indias best portfolio management service providers as its promoter. Lets just go ahead and understand Equity Intelligence more precisely. Equity Intelligence is incorporated in 2002 by Porinju Veliyath. Before incorporating equity intelligence, Porinju Veliyath started his career with Kotak Securities as a floor trader in 1990. After bagging a good experience in the stock trading arena he moved ahead to Parag Parikh securities in 1994 and designated as a research analyst and fund manager for the next 5 years. Equity intelligence has a key objective of reaping growth at a healthy rate. Born with the genes of value investing Equity Intelligence aims to create long term wealth for its investors. Investors get highly tempted towards the investment strategy of these Guru investors and their firms. Here lets discuss the investing methodology of the Equity Intelligence. Equity Intelligence believes in the value investing and also aims to protect capital first. That is investments are made in such a way that it would protect your capital first and then grow at a healthy rate. Equity intelligences key investment strategy is betting on the value stocks that stock which is available at a cheaper price whose business has potential to grow in the longer run. Just like Porinjus first multibagger stock, Geojit Finance. At that time for people, it was a tiny small-cap stock, but for him, it was a great business with a huge opportunity. Broadly investor products of equity intelligence are divided into two products. One is PMS that is portfolio management service and other is Alternative Investment Fund. Come lets explore these product offerings, their minimum investment requirements and performance and returns. Equity intelligences PMS is considered as one of the best PMS services in India. The service offers hands-free stock market investment experience. Equity Intelligences portfolio management deploys a bottom-up investing approach. The team of professionals led by Porinju Veliyath takes efforts to pick the right stock for the portfolios. To start investing with Equity Intelligence PMS the minimum investment requirement is Rs.50,00,000. Previously it was 25 lac but recently has been revised to 50 lacs. However, the service offers you stock recommendations just like other PMS services and operates in the same way. On the fees front, Equity Intelligence charges 2% fixed management fees and 10% of performance fees over 10% returns. Lets understand this with an example If you start investing with the Equity Intelligences portfolio management service with 50 lacs. Then fixed fees you would pay annually is 2% of 50 lac. The fee will be taken from you in 4 tranches of 0.5% each. So in total, you will pay 1 lac(approx) as a fixed management fee in 4 tranches. (Numbers may differ as per the asset value) And at the same time if your investment runs up ahead of 10%, then you will need to share your returns with equity intelligence. That is if your portfolio value reaches to 55,50,000. Then you will need to share 10% for above 5 lacs of profit, that is on remaining Rs.50,000. For ultra HNIs who is able to invest more than 50 lac at a glance for them, equity intelligence has their alternative investment fund. This product was launched with an aim to capture the emerging opportunities from the Indian stock markets. Porinju Veliyath is well known for his capacities to pick the right businesses having huge potential. And the same strategy has been implemented in this product. Equity intelligences alternative investment fund focuses on turnaround stories and emerging opportunities. Equity intelligence minimum investment requirement for Alternative Investment Funds is Rs.1 crore. Though its a high investment bet but investors get definite returns in these investments. The fund has already given returns of 13.28% in the first operational year which is far better than Nifty performance. As per equity intelligence website information we dont see any profit sharing and performance fees for these investments. So, AIF scores over PMS in product basket but affordability remains the issue for normal investors. Investing with equity intelligence is just like investing with the best from Indian stock markets. Investing with equity intelligence gives you an hassle-free stock market investment experience which is the greatest benefit of availing services here. Moreover, utmost transparency and prompt risk management are other takeaways from the equity intelligences services. We can define any specific thing as a drawback for investing with equity intelligence. But we can say an entry barrier would be the biggest trouble for investors. People who are not able to fund more than Rs.50 lacs for all of them equity intelligence is just a dream. The capital requirement and fees seem to be the biggest issue for normal middle-class investors. 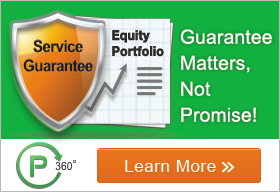 Equity intelligence services are just made for HNI and Ultra HNI investors. And these services dont balance for investors from every class. Moreover, profit sharing and performance fees raise your expenses and cost you with reduced profits. So for all such investors, We at Niveza has come up with a smart alternative p360 Freedom. The service offers you all the benefits of PMS services and ensures hassle-free investment experience. Therefore, we call it as a potential PMS alternative. It is a highly personalized service of Niveza which gives you an add-on benefit of SERVICE GUARANTEE. The features keep your service active until targeted returns are made. So its just like we are making PMS service simpler, secure and cost-efficient with our alternative p360. If you want to know more from us then reach us at 09637171436.